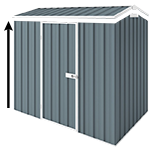 The Absco Highlander garden shed range is pretty much the ultimate backyard shed for anyone who is looking at a serious storage unit that ticks all the boxes. First of all, it is the only Absco model that comes with extra high walls (2035mm) providing easy access to even to the tall fellows. 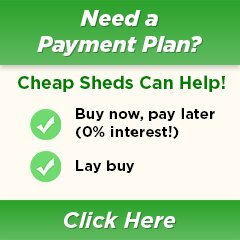 Being one of them I fully understand it might be important to any handyman or gardener accessing the shed regularly. The Highlander represents exceptional quality as all the Absco models and it assembles with the famous SNAP TiTE system that makes your assembly project a pleasant one. If you'd like, you can watch assembly videos to see how it all goes together. Manufactured out of Australian made BlueScope Steel Colorbond and Zincalume, you can rest assured about the quality. To make it even better, the Highlanders come with 20 years written warranty.